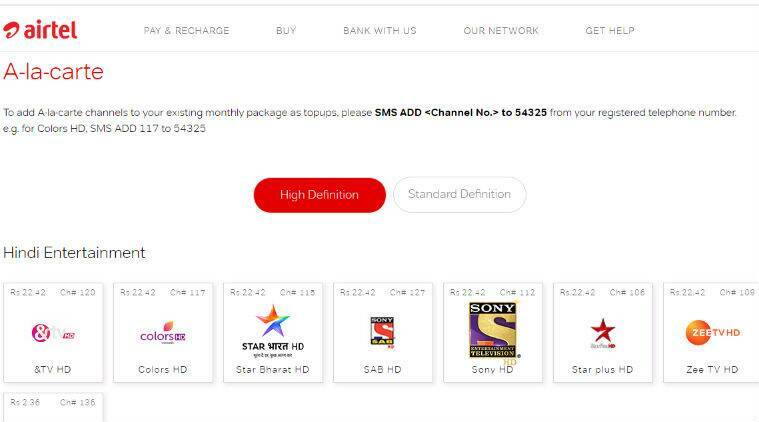 TRAI New Cable, DTH Rules: Here's how to choose your channels on Tata Sky, Airtel Dish TV, etc and calculate your bill. 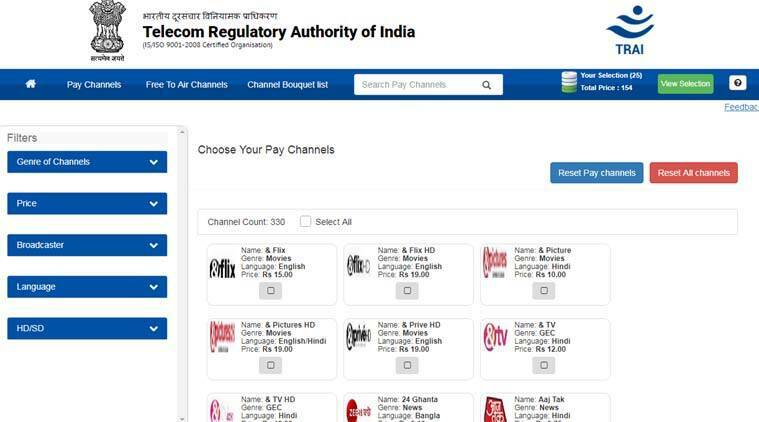 TRAI New Cable and DTH Rules: The Telecom Regulatory Authority of India (TRAI)’s a new regulatory regime for cable operators and DTH companies have come into play from the month of February 2019. The new rules seek to make it easier for customers to choose what they wish to watch on television, and pay only for the channels that they prefer, rather than be bound by packs decided by the cable operator or DTH company. 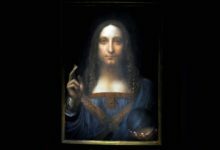 However, for many users, there is still confusion about how the new regulatory regime functions. It also appears that despite TRAI’s directive of a smooth rollout, some customers of Airtel DTH did face a blackout of their TV channels. TRAI has even issued a notice to the company in light of the reports. For users who are unsure about how to choose their channels, and what the new television bill will be like, here are details to keep in mind. We also explain how a user can choose their channels and calculate their bills. TRAI’s new rules: How is the new TV bill calculated by the DTH company, cable operator? The new regulatory tariff introduces a monthly NCF or Network Capacity Fee to your cable TV bill. This NCF is Rs 130 for 100 channels. The NCF in total is Rs 130+18% GST, which comes to Rs 153. For those who choose more than 100 channels in their monthly pack, there will be extra NCF of Rs 20 for a slab of 25 channels. TRAI also has a channel selector application on its website, to let users make their pack, which they can then tell the company to apply for their account. So if you choose to say 150 channels in total, then your NFC is Rs 130+20+20 or Rs 170. Adding 18 per cent GST brings it to Rs 200. Keep in mind that this is just the Network Capacity Fee. The cost of paid channels will be extra in your bill. TRAI’s new rules: What are paid channels, why are there 25 free DD channels in my pack? Paid channels are those which have a monthly cost attached to them. Not all channels are expensive. You can get news channels for a low as 0.50 paise per month also. The maximum price of a channel has been limited to Rs 19. However, some players like Tata Sky and others are showing prices inclusive of GST, so it might be more. You can add paid channels to your list of 100 or more channels. However, the cost of paid channels will be extra in your bill. It will be Rs 130 (NCF) + price of paid channels + 18% GST. The 25 free DD channels are already there in your pack. You cannot remove these from the list. This explains why when you start choosing channels on say Airtel, it starts with 25 channels pre-chosen, which are the DD ones. Users have the options of choosing channels a-la-carte, which is a single channel or in bouquet packs. TRAI’s new rules: What are the channel bouquets? These are channels, which have been clubbed together by the broadcaster. So Star Network will have a bouquet with a number of its channels put together based on regional languages, based on saying sports content, which you can choose to add to your monthly pack. These are slightly more expensive, depending on the number of channels present in the bouquet. These will also get added to your monthly bill. For example, if you choose a bouquet of 10 channels worth Rs 120 per month, then your bill is Rs 130+120+18%GST. This is assuming there are no other paid channels in your list. TRAI’s new rules: How does one choose channels? All companies like Tata Sky, Airtel, Dish TV, Hathway, and even your cable operator have to comply with the new rules. You can go to the individual website or app of each of these players and log in and create your pack. Some players like DishTV, TataSky have created regional packs for users, which have all the channels that might prefer to watch. You can go for that pack or create your own entirely from scratch.